The University of Denver Sturm College of Law boasts the oldest International Legal Studies program in the Rocky Mountain West, and one of the strongest and most prestigious International Legal Studies programs in the world. At Denver Law, students have the opportunity to choose from a wide variety of courses in international & comparative law. Additionally, students may focus their studies with the International Law Certificate, The International Law and Human Rights Certificate, or through Dual Degree Programs offered in collaboration with the Josef Korbel School of International Studies, the Daniels College of Business, and the Graduate School of Social Work. Moreover, students benefit from Denver law’s frequent and lively on-campus regional and international debate. For example, each year the Ved Nanda Center for International and Comparative Law sponsors a rich schedule of outside speakers in addition to an annual conference, the Leonard v.B.Sutton Colloquium in International Law. And each year, an accomplished international law scholar delivers the Myres S. McDougal Distinguished Lecture in International Law. Students also benefit from participation in a number of international law related extracurriculars such as the International Law Society, the Denver Journal of International Law and Policy, the annual Philip C. Jessup International Moot Court Competition, the Willem C. Vis International Commercial Arbitration Moot, and the Leonard v.B.Sutton / Hague Academy International Law Essay Competition (which earns one student a summer of study abroad on the Leonard v.B. 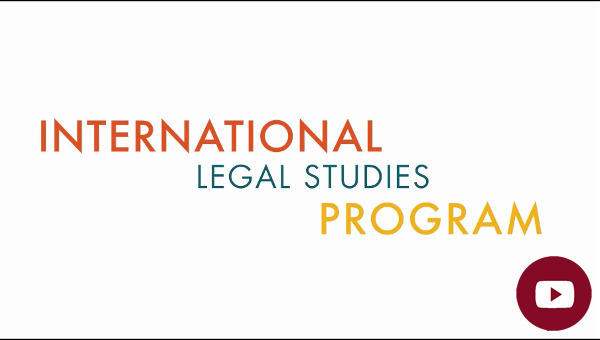 Sutton scholarship at The Hague Academy of International Law in The Netherlands).